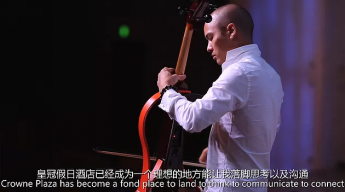 A few years ago, Dana Leong, the world’s leading electric cellist, had big ambitions for China and Shanghai specifically. Like he had done throughout his career thus far, the two-time Grammy Award winning musician, composer and producer wanted to find out what gave music its powers across various musical genres, venues and disciplines in China. According to Dana, it was the perfect time to take on China. The country was growing rapidly and needed a vision today since it would be completely different in 10 years’ time. He believed that everything was changing and the country would be light years ahead in the future. Not only did he want music to be a part of it, he wanted to be a part of it. Making this vision come true is exactly what Dana did, and 2017 was a groundbreaking year for both Dana and TEKTONIK, the global arts-based lifestyle brand that unites creatives around the world to combine art and music for creative and healing energy. Initially started to bring together artists from around the world to provide a platform to team up in support of disaster relief, the initiative focused on composing and delivering harmonious music and visual art that combined uplifting sounds, ceremonial chants and ritualistic rhythms in moments of prayer and positive intention. Today, the initiative has become a call to action for partnership and collaboration across a variety of venues. As a result of Dana’s dreams, hard work and dedication, he has much to show for how his visions are turning into reality and making a big difference. 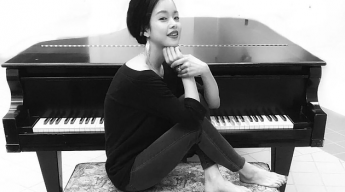 For starters, in Amsterdam in May the Asian-American musician and TEKTONIK were recognized as UBS Global Visionaries for accomplishments in social entrepreneurship in music. This prestigious event was marked by the presence of Netherlands Prime Minister Mark Rutte, acknowledging 10 UBS “Global Visionary” social entrepreneurs. 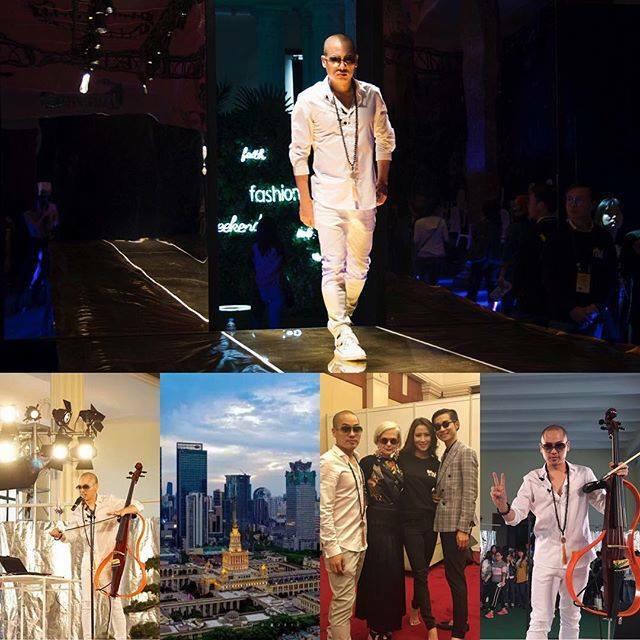 At IPCN Shanghai Fashion Weekend, held at the Shanghai Exhibition Center in April of this year in cooperation with the British Fashion Council, Dana and TEKTONIK hosted the TEKTONIK Musical Chill Out Zone, performing for 50,000 people. Shanghai Fashion Weekend represented a world first in immersive fashion shows, providing an authentic carnival for all citizens of Shanghai. As this three-day event for people from all over the world became the latest trendsetter in fashion, Dana and TEKTONIK were setting trends for their emotionally mesmerizing combination of electronic rhythms and uplifting traditional global sounds. 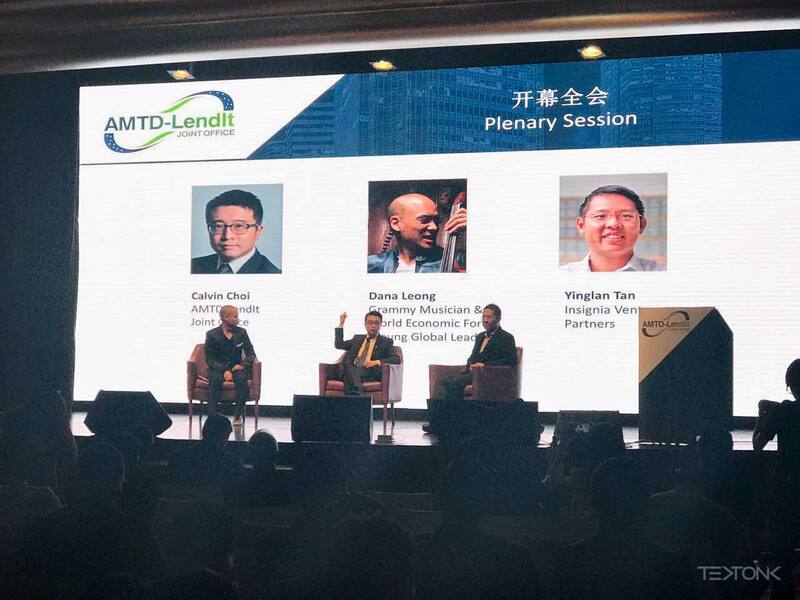 A few months later at AMTD Lendit’s 2nd Annual Hong Kong Fintech Summit in July, where top global fintech companies meet one-on-one with Asia’s most forward-thinking investors, Dana joined this progressive event by playing his cutting-edge music. As the opening performance, he was among some impressive business leaders attending the summit, including Raymond Chao, Chairman of PWC Greater China, Soul Htite, Founder and CEO of Dianrong, and Dennis WU, Futu Securities. Collaboratively, he helped launch the 1 Billion Public Term Note Program. 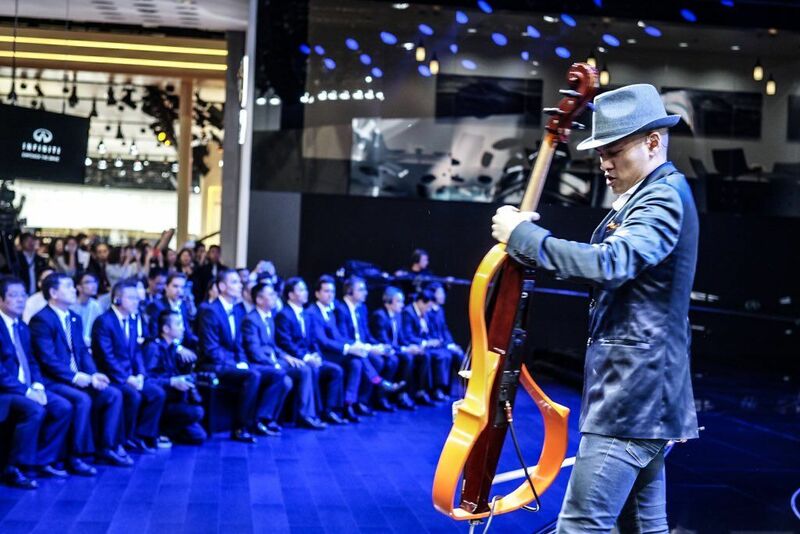 Adding to this list of prestigious events, Dana composed and performed a theme for Infiniti’s Concept Car Global Launch at the SH Auto Show in April. 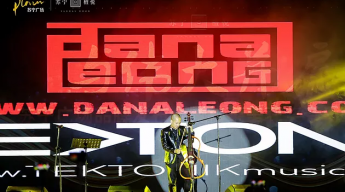 Widely recognized for playing futuristic sounds and mixing classical and instrumental music with electronic music, Dana’s performance was celebrated at this influential show. Dana also performed at the Grand Opening of Naked Castle. This beautiful mountain resort in Moganshan hosts luxurious rooms with different characteristics as well as restaurants with panoramic views, a spa, a pool and a lush garden with an amphitheater, Noted for being the epitome of luxury surrounded by the lush forest and the majestic mountains, Naked Castle features a special combination of nature, leisure and history – and a perfect setting for Dana’s music, which strives to isolate elements that make people heal and feel energized, both mentally and physically. One of Dana and TEKTONIK’s more personally-fulling appearances this year was at the Asian Institute of Management Manila. 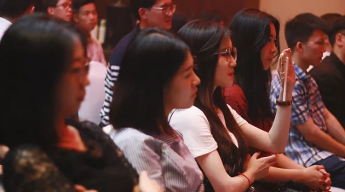 As one of the few business schools in Asia to be internationally accredited with the AACSB, Dana kicked off the Institute’s 50th Anniversary with an exceptional musical performance. This celebration highlighted the Asian Institute of Management’s mission to continue to produce graduates who lead, inspire and transform business in society now and in the future. Making this special milestone in the Institute’s history even more monumental, and momentous for Dana, was the introduction of the newly-created TEKTONIK Master’s Degree Scholarship in social entrepreneurship that was announced for the occasion. 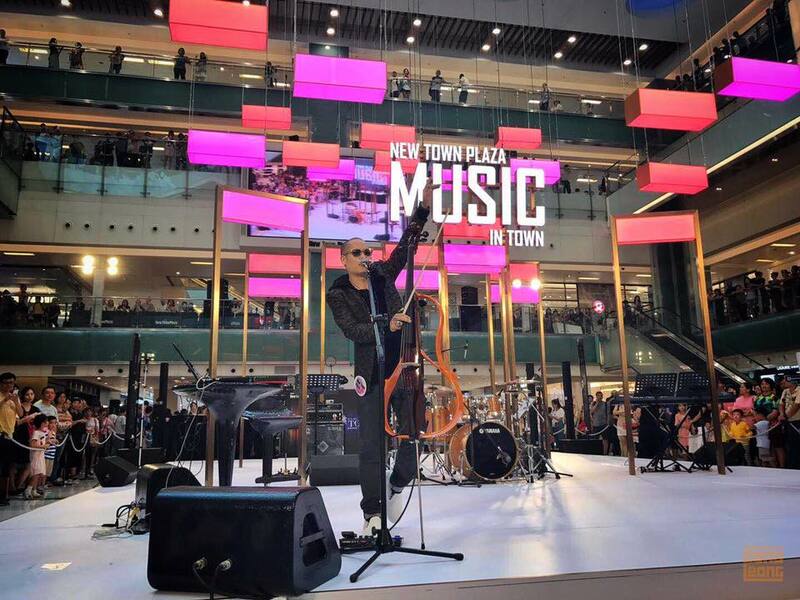 Another electrifying performance by Dana and TEKTONIK, which contributed to making 2017 a landmark year for both, was playing at the “Music in Town” event at New Town Plaza in Hong Kong. At this public festival, they captivated an audience of 10,000 people with their music. 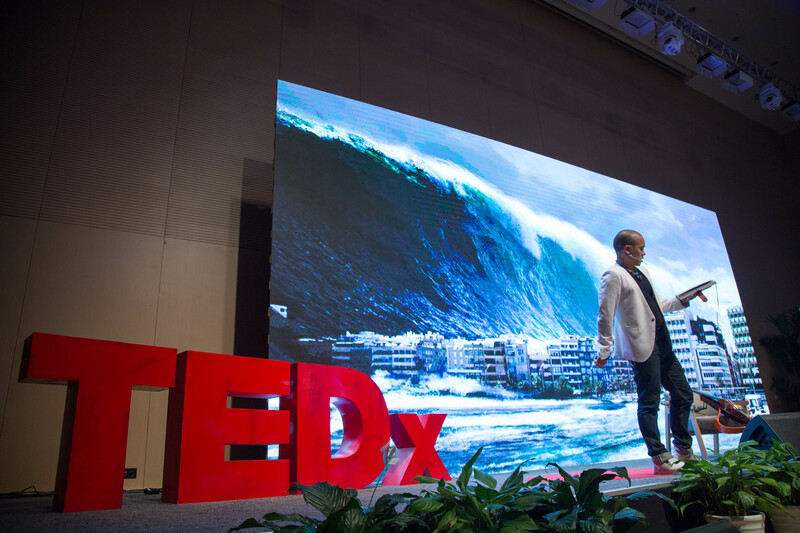 Ending a busy, productive and inspiring year, Dana performed and presented at TEDX CAOHEJING: The Force of Business in December. In his talk, “How Music & Art Is Changing the World,” Dana discussed some of the views that he feels strongly about, specifically that people are what they eat, including the music and art they consume. Speaking from the heart, he discussed how it is never known who might be listening and how much it influences their life. Dana, who was raised in the San Francisco Bay Area and started his career in New York, set out to shake up the music scene in China with a burst of fresh collaborations that expressed his unique and varied style of music. And that is exactly what he did! A leading innovator at the intersection of music, technology and wellness, his achievements in 2017 add to his current list of remarkable accomplishments, including performing healing music at the World Economic Forum’s closing ceremonies, composing on a “musicians against violence” album produced by Harry Belafonte, and serving as a U.S. Musical Ambassador to name a few. While Dana’s style has been defined by the way he entwines electronic music with experimental jazz, funk, pop, rock, and hip-hop, he has not deviated from his passion for collaborating with people in the spiritual and academic worlds. 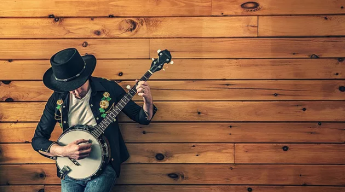 He believes music has an impact beyond just entertainment, a bigger purpose for causes that help humanity, climate change, economic disparity, or spiritual wellness. This belief is what captivated, continues to motivate him and with TEKTONIK, enabled him to make great strides in changing music in China this year.